As of Thursday, each of the broker channel banks have released their latest financial results. How has their mortgage business performed? This is what brokers need to know. 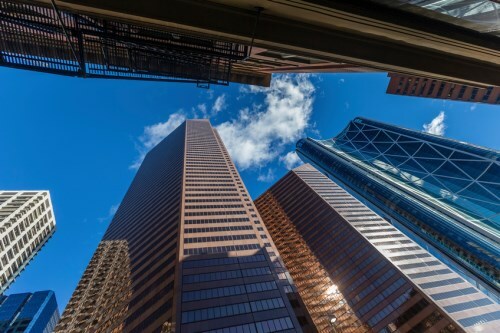 The Montreal, Quebec-based bank reported an uptick in its personal lending lines and credited its mortgage business with bolstering that business. “Rising 5% from a year ago, personal lending experienced sustained growth, with the most significant increases coming from mortgage lending, and commercial lending grew 3% from a year ago,” National Bank said in its Q3 2016 report to shareholders. The bank had a total of $47.5 billion is residential mortgages on the books as at July 31, 2016. That’s up from last year’s Q3 total of $42.2 billion. “Since October 31, 2015, consumer loans increased by 5%, primarily due to home equity lines of credit and personal loans, and, rising 9%, residential mortgages also grew, particularly mortgages purchased for securitization purposes,” the bank said. “A large portion of the Bank’s lending portfolio is comprised of residential mortgages and consumer loans, which are well diversified by borrower,” Scotiabank said in its quarterly report. “As at July 31, 2016, these loans amounted to $318 billion or 65% of the Bank’s total loans and acceptances outstanding (April 30, 2016 – $312 billion or 65%; October 31, 2015 – $309 billion or 65%). As at July 31, mortgages accounted for just under $217.5 billion. Ontario’s portfolio made up the largest share of that, with $93 billion – significantly higher than British Columbia’s total of just under $31.6 billion. TD’s total residential portfolio was $188 billion at the end of Q3. The table below shows the breakdown of mortgages by amortization period.